March 2, 2019. 7:00-10:00 p.m.
Cash bar/bring your own food. 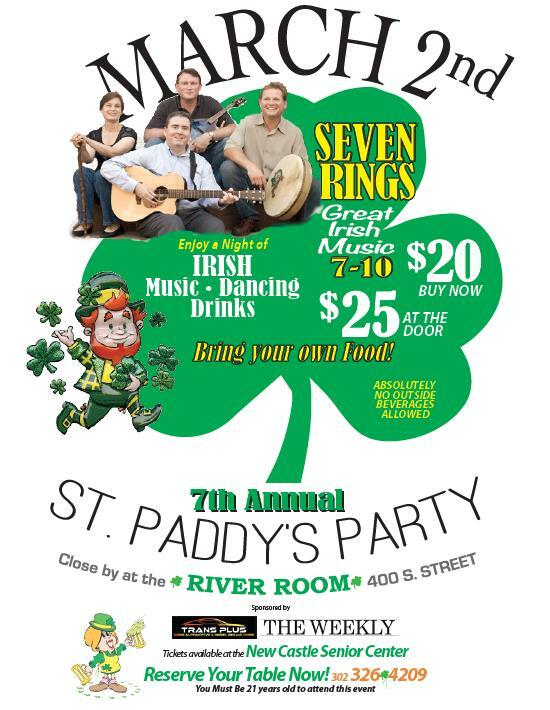 Join the Senior Center for their 7th annual St. Patrick’s Day event, with music by the acclaimed Irish music group Seven Rings. $20/advance; $25 at the door.